stuff your blender and push your green comfort zone!! I think maybe we can get stuck in doing things the same way everyday because it’s safe and hey it works… and we usually do this like we stick to the same scripts in life- so take a risk and challenge yourself to do things differently… even if it is just a green smoothie!! sounds delicious – how much green smoothie did it make all up? hi-up to the top so about 2 litres…thicker too so more filling-beat those mid morning cravings for the bad stuff! Right on Jane. I think I’ll make a smoothie tonight. hi Dan-thanks for your great feedback-I love green smoothies so much I want to inspire people who think it is too hard to eat healthy food. 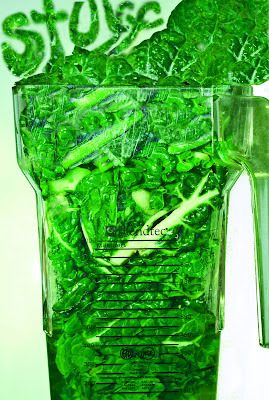 I just discovered the joy of green smoothies myself and wanted to ask you about your blendtec. I am in Australia and have wanted a vitamix but they are crazy expensive here – was wondering if the Blendtec is a good substitute. I noticed you used the metric system so thought maybe you were in Australia as well. HI Daniel-yes I’m in Australia- Canberra- I researched blenders- and found my BlendTec Xpress from John at http://www.myopure.com.au/ in Sydney. They have been trying to get the BlendTec Total Home blender for ages but they are having ongoing problems-something to do with approval for the power/wattage?? The Xpress is commercial high turnover standard and is great-I am up to 350 cycles. Free delivery too. 2 containers-BPA free-$869-comes with a manual but no recipe book. It has 5 cycles and pulse. I decided to make this investment when I realised I am going to be making them everyday for the rest of my life!!! Excellent, thank you for that info, I think it is a wise investment.